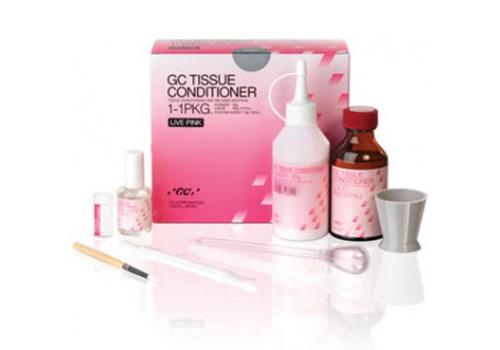 Tissue Conditioner is an all-in-one soft relining material - a complete solution for your clinic. Itʼs a true next-generation, state of the art acrylic soft relining material, and itʼs even been patented by GC. Tissue Conditioner is a great choice when you need an alternative that offers a long-lasting softness and remains clean over a long time.